Kansas Gov. Sam Brownback has issued his first pardon in almost seven years in office to a man convicted of felony theft as a college student in 1994. Brownback’s office announced the pardon Tuesday for Mark Schmitt of Parker, Colorado. Schmitt is a Liberal native convicted of felony theft while living as a college student in Ottawa. The governor’s office said the charge arose from a false insurance claim for $1,552. It said Schmitt completed probation, paid restitution and had his record expunged. Brownback’s office said Schmitt applied for a pardon from former Democratic Gov. Mark Parkinson but the paperwork was lost. Brownback succeeded Parkinson in January 2011. 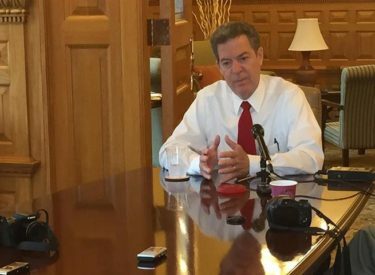 Brownback denied 72 other clemency applications.